When I was a kid going back-to-school the best I could hope for where book covers made out of paper bags, and the closest thing to an iPad I had was an Etch-a-Sketch. Although I would never want to be a kid again (being a grown-up is way more fun) I do envy the options today’s students have to customize their school stuff. Case in point, the cool coordinating school supplies I recently found at Lifeguard Press. 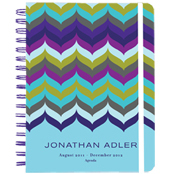 These designer school supplies are so fun you may want to buy some for your non-school life – imagine taking notes at your next board meeting with one of these cool Jonathan Adler pens? See the full line of Lifeguard Press’ designer school supplies here. 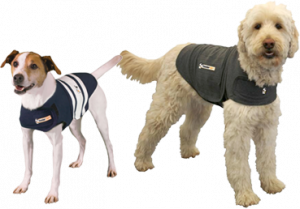 Checkout all of the cool stuff Lifeguard Press offers here. As I have mention many times here, I have been trying to plant things for years and have not had much success. My garden of choice has been container gardens with herbs, vegetables and the occasional flower. My permanent gardens at the New Hampshire home are country gardens – which means I don’t touch them and just sit back and wait to see what comes up every summer. I have enjoyed this, as the wildflowers and random cultivated plants have turned out to be quite pretty – if unorganized. Because of my ignorance, I don’t weed too much. There are some things that I would have pulled as weeds that grew into gorgeous flowers – so I have learned not to be too rash. I admire anyone with the so-called “green thumb.” To help me in my garden pursuits I rely on the fun little kits that make growing fun and easy. Like the fun products offered by Dune Craft. I placed the micro terrariums on the window sill in the kitchen, and sure enough they sprouted within a couple of days. I plan to transplant them out to the containers on the back porch for some end of season results. Check out the micro terrariums and all of the fun planting items from Dune Craft here. One of the things I was looking forward to while house-sitting this week just south of Boston was taking advantage of all the great culture the area has to offer. I was thrilled to learn that the American Repertory Theater (A.R.T.) 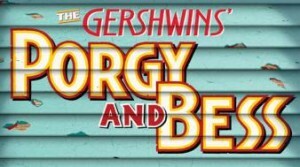 just outside of Harvard Square in Cambridge, MA was mounting a revival of George and Ira Gershwin’s masterpiece Porgy and Bess. I was even more thrilled to find out the production was set to star the wonderful Audra McDonald and would be running while I was in the area. I immediately purchased a ticket and was looking forward to seeing the show. So there I was yesterday, while waiting for hurricane/tropical storm Irene to hit the area, I was fortunate to have a great seat for the afternoon matinee of this amazing new production, which will be transferring to Broadway next season. The American Repertory Theater always does a great job, and with the iconic material by the Gershwins and the incredible talent of three-time Tony award winner Ms. McDonald and the whole cast, this was the perfect way to spend an afternoon. The show has been – somewhat controversially – re-imagined for modern audiences. However, the core of the piece is intact and as beautiful as ever. If you are in the Boston area in the coming weeks and love great musical theater, I highly recommend checking this show out. Or, wait for what is sure to be a hot ticket when it hits New York and beyond. 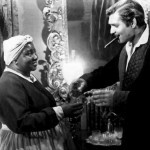 Click here to see the A.R.T.’s interactive guide to Porgy and Bess. While I am on my house-sitting gig at my friend Lynda’s pond-side home, I was looking forward to taking her canoe out for a spin. 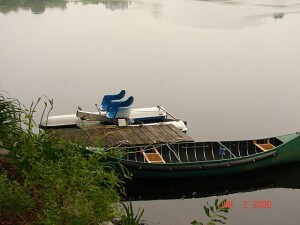 Lynda and her husband have a few boats moored to a little dock on the pond including the canoe, a rowboat and a good-old-fashioned (read: FUN!) paddleboat. I love canoes and the whole summer camp culture that they invoke. Which is why I love Winnipesaukee Canoe Company, based near my New Hampshire home in lovely Wolfeboro Falls. Winnipesaukee Canoe Company is dedicated to all things canoe, and they offer some products from model canoes, to canoe-inspired home decorations, and vintage canoe signs. Winnipesaukee Canoe Company’s products are a great Find for those of us who love canoes and want to enjoy them even when we are not fortunate enough to be on a pond on a lovely summer’s day. Check out Winnipesaukee Canoe Company here. Starting today, I will be the guest blogger on my good friend Lynda’s wonderful blog, Grateful Evermore, while she and her husband are on a trip to Washington State. Don’t worry LostCowboy fans, I will be continuing to post here as well, but I encourage you to check out what I am doing on Grateful Evermore, and while you are there look into the archives to see what the blog is all about. I am confident you will love it as much as I do. 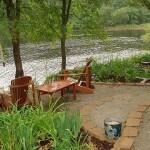 While Lynda is away, I will be resting in the lovely home and grounds she and her husband have created. The house is amazing, with soaring windows overlooking the nature of the pond and beautiful gardens and hidden nooks perfect for relaxation. 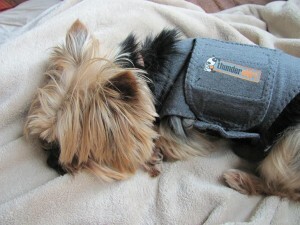 I am most looking forward to lounging on the hammock in the front garden overlooking the pond; taking the canoe out for a spin; and taking Lynda’s three adorable Yorkies for walks and playing with them. I will be co-posting most of what I write on Grateful Evermore here as well, so you won’t miss a thing. Meanwhile, I have been told by many of you that the ability to comment on this site is not working. We are trying to figure out what is going on there and hope to remedy it soon. In the meantime, please email me directly with any questions and comments: jim@lostcowboyfound.com. 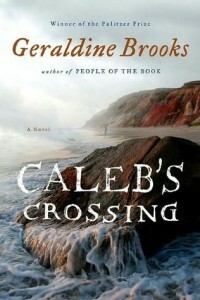 What I have been doing with my time: Summer Reading – “Caleb’s Crossing” by Geraldine Brooks. I am a little late with this, with Labor Day weekend only 10 days away, but I have been doing a ton of reading this summer and I wanted to share some of the better books I have read. I was reminded to do this when I saw a list of the books President Obama took with him on his vacation to Martha’s Vineyard. Less about the President’s reading and more about Martha’s Vineyard made me think of one of the great reading experiences I have had this summer: Caleb’s Crossing by Geraldine Brooks. I really enjoyed reading this book as it did what good books can: it took me away to another time and place and had me fully engrossed in the world it described. 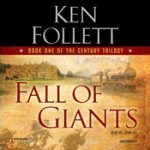 As a fan of history, New England and just a good story, this was the perfect book for summer reading. The story is told in journal form from the perspective of a young girl whose family were early settlers of Martha’s Vineyard. The story of her daily life and friendship with a native boy is the backbone of the book, but there also is a rich history of early colonial life described here that is truly compelling. It took a little patience to get into the book as it is written in an old English style of the time, however, soon I was totally engrossed in the compelling story. I would recommend Caleb’s Crossing to anyone who likes historical fiction based more in fact and a story that is believable as opposed to a fantasy with an incidental historical backdrop (not that there is anything wrong with that – I love that genre too). However, having read this book, I feel a little bit smarter and much more knowledgeable about the brave souls who developed the path of our great nation. Caleb’s Crossing is available from Amazon and other booksellers. My parents spent much of the past 25 years working the craft show circuit in New Hampshire and environs. My dad retired early and joined my mom in her life long dream: spend her days sewing and sharing her creations with people at craft shows and in her own little shop. My mom never wanted to make money at this endeavor, she just wanted to do what she loved and share it with others. It turned out that my mom, who is an excellent seamstress, was particularly good at making doll dresses. She found this out by accident. She really wanted to make stuffed animals, like rabbits and cows. She made several bunnies and cows, that were actually dolls, and they were really stuffed works of art. She figured she had better dress the dolls, so she also made clothes for them. The finished creations were a huge hit. The bunnies and cows and the occasional rag doll were flying off the shelves and special orders kept mom busy for quite some time. Somewhere along the way, one of her customers took a dress off of a bunny and found that it fit her granddaughter’s American Girl doll perfectly. The next thing you know, my mom was spending all of her time making dresses for these dolls – and collecting the dolls herself. Soon, these dresses and outfits were her niche. She spent all winter sewing – and the rest of the year sewing and selling at craft fairs throughout New England and in her own by-appointment shop here at the house. My dad was the business manager and road crew, helping to set up the booth and such. And for years they had a nice little gig going. Sadly, they had to give this life up a few years ago as I have written about before, but they had a good run. 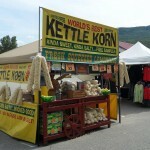 Anyway, I visited them at many of their shows over the years and I noticed that every time I did, my dad would have a big bag of kettle corn that he would share. He said that no matter where they go – at every fair – there is always a kettle corn vendor who seems to set be located upwind from my parents’ booth – which meant he couldn’t resist. 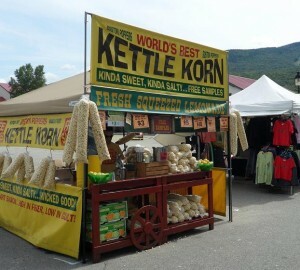 This summer, as I have traveled around to many arts and craft shows myself, I have noticed that indeed there is usually a vendor making kettle corn and it makes me smile. I instantly think of my parents and I look around and picture them amongst the booths, still enjoying what they loved and hoping that soon I will know what it is like to find my own niche and play it out. Lost Cowboy is powered by	WordPress 5.0.4 and delivered to you in 0.954 seconds using 58 queries.